This Eastside charmer is a move-in ready, entertainerâs dream home. 218 18th Street is ideally located blocks away from the Back-Bay nature preserve, 17th Street and The Triangle â offering endless dining and shopping options as new hotspots continue to populate the area. This home was made for those longing to indulge in the active Eastside lifestyle. Featuring 3 bedrooms and 2 bathrooms, this 1939 bungalow is fully upgraded with todayâs modern luxuries while maintaining its character. 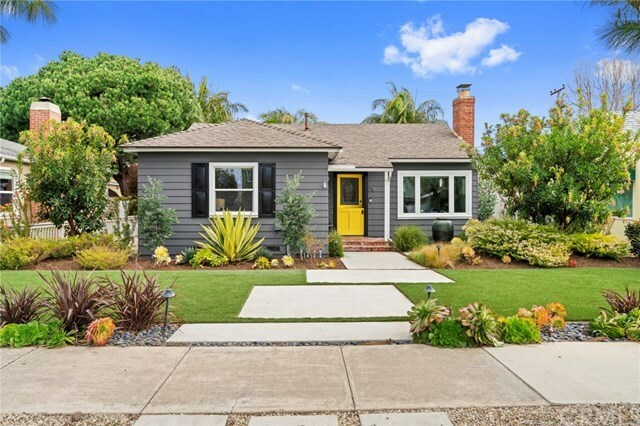 Notable highlights include original hardwood floors, crown molding, new central heating and air-conditioning, ultra-low maintenance drought tolerant landscaping, dual pane windows, plus a bright and airy kitchen equipped with stainless steel appliances and quartz countertops. The spacious backyard is a year-round retreat, complete with an outdoor dining area, gas fire pit, and an oversized concrete countertop with built-in BBQ and sink.